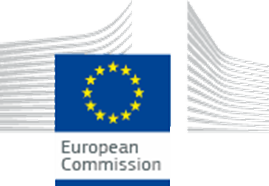 The project ¨Training and social awareness for increasing organ donation in the European Union and neighbouring countries¨ (EUDONORGAN) is a service contract awarded by the European Commission from the European Union budget, on the initiative of the European Parliament. It aims to develop and implement two types of activities at EU level, focusing on training and social awareness for increasing organ donation in the European Union and neighbouring countries. The EUDONORGAN project is developed by an international consortium led by University of Barcelona – Bosch i Gimpera Foundation, together with Donation and Transplantation Institute (DTI Foundation), Spain. The consortium partners are: The Institute for Organ and Tissue Transplantation of the Republic of Slovenija, Slovenija-transplant; The Institute for Transplantation and Biomedicine – Ministry of Health of the Republic of Croatia; Italian National Transplant Centre – Italian National Institute of Health, Italy, and Dinamia S. Coop., Spain. The project consists in two core WPs: Train the Trainers (W1) and Social Awareness (W2), and two horizontal WPs: Dissemination (WP3) and Evaluation (WP4). The Train for Trainers work package, led by the University of Barcelona and DTI Foundation, will assist and provide experts in organ donation (tissue and cell donation will be also addressed) and other relevant actors with knowledge, educational strategies and communication techniques to monitor and improve overall performance in the management of donated and transplanted organs. The training program will be based on active learning and adult learning principles and it will employ a blended learning methodology by means of e-learning (via WebApp) and face to face training. The Social Awareness work package, led by the Institute for Organ and Tissue Transplantation of the Republic of Slovenija, Slovenija-transplant, and the Institute for Transplantation and Biomedicine – Ministry of Health of the Republic of Croatia, will aim at organising and implementing six communication events, each of them taking place in different EU Member States. The Dissemination working package, led by the Italian National Transplant Centre – Italian National Institute of Health, Italy, aims to ensure that the tender, its results, products and deliverables resulting from the two core working packages are known and made available specifically to DG SANTE, all the target groups, direct beneficiaries, any other identified stakeholders, including the general public. It is the intention of the EUDONORGAN consortium to guarantee a proper visibility of the findings of the two fields covered by the service. The Evaluation working package, led by Dinamia S. Coop., Spain, specialised in consultancy and evaluation of healthcare projects, will ensure that a systematic and continuous appraisal of the contract is performed, in terms of contract development and of the quality and impact of the results achieved. The project will reach approximately 350 to 400 participants from the EU and neighbouring countries, including healthcare professionals and other relevant players such as: patients and patient support groups; representatives of public and governmental agencies, representatives of health institutions, opinion leaders and the media.